“Patent Trolls have already begun to try & discredit the FTC PAE Report & it’s not even been released yet,” Anti-Software Patents wrote earlier this week. All this while the software patents lobby trash-talks SCOTUS (and one particular Associate Justice in particular), PTAB, an Australian report against software patents etc. As we showed here in recent days, IBM played a major role in this lobby. Are they thugs or trolls? Or both maybe? –Pieter Hintjens“IBM says software patents drive OSS development,” he recalls (from a 2009 article). We never forgot that. IBM’s real value is with the R&D folks who have helped IBM top the list of companies with the largest number of US patents granted year after year. This has never stopped growing. Last year it was 7,355 patents granted for IBM (followed by 5,072 for Samsung and 4,134 for Canon, with a big drop-off after that to Qualcomm with 2,900 and Google with 2,835). The patent system is out of control since many of these patents are idiotic software algorithm or blocking patents, designed to keep others away from certain technologies. The point, though, is that IBM has been leading this pack for over two decades and shows no signs of slowing down. That is unless you think 7,355 is slowing down from its 2014 tally of 7,534 patents. In 2013, it secured a mere 6,809. These numbers are outrageous when you stop to consider that patents were intended to protect small inventors and companies. Now the system is used to dominate that small fry. Good work, USPTO. Many of IBM’s current patents are about data analytics and so-called cognitive computing, like Watson. It in turn collects “over” a billion dollars a year from licensing, which sounds low to me. I say this because on its licensing page, IBM claims to have 250,000 experts who will work with you to find the right patents for your company. Those experts likely generate at least $100,000 in business each every year, which I think is conservative. You do the math and that’s $25 billion. This makes sense when the company claims to drop $6 billion into R&D each year. In fact, it would not surprise me if most of its revenues were from licensing, and far more than $25 billion. 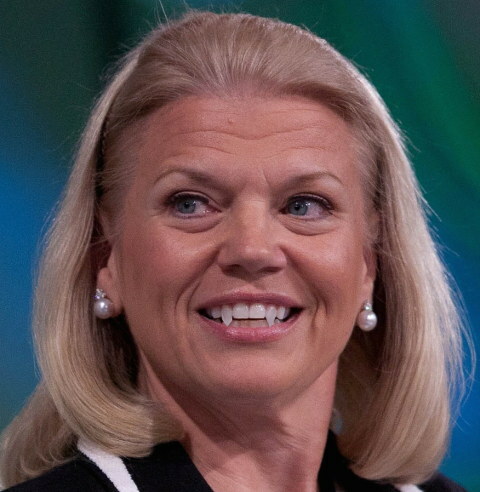 IBM’s overall revenues are around $82 billion. With puff pieces like this new one about IBM, no wonder few people care to have noticed what IBM recently turned into (amid layoffs). “Mossoff just can’t help attacking the messenger for trying to stop patent trolls.”Trolls’ apologists aren’t idle either right now. Consider Adam Mossoff, who works for some kind of patent maximalism think tank (“The Center for the Protection of Intellectual Property at Mason Law promotes the scholarly analysis of IP rights and the creative innovation they make possible,” by its own description), so it’s not too shocking that he keeps protecting patent trolls, attacks their critics, and now picks on the EFF. Mossoff just can’t help attacking the messenger for trying to stop patent trolls. This isn’t a new thing from him. Both the RPX data and other sources make it clear that NPEs are predominantly trolls, mainly because of who NPEs go after: cash-rich tech companies. Cohen, Gurun, and Kominers calculate that the likelihood of getting sued by an NPE is roughly 16 percent among companies with the most cash, roughly double the baseline rate. By comparison, the likelihood of getting sued by a practicing entity—that is, a company that actually worked to create its patents—is less than five percent. NPEs are also more likely to sue firms with small legal teams and those dealing with other lawsuits. In other words, they go after companies with the biggest wallets and the fewest available minutes.